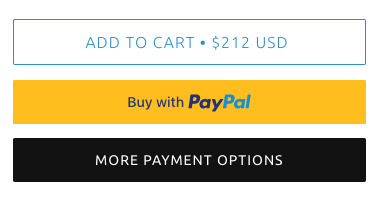 When using Dynamic payment buttons, the more payment options link can be styled to look more like a button with this style code modification. 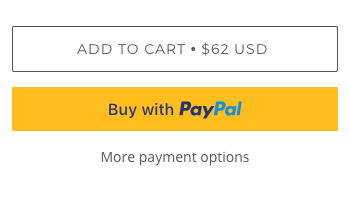 As well as the hover background color. You can adjust that Accent color in your theme settings. In that example, the background will be black (#111111) and the foreground text will be white (#FFFFFF). The hover, active and focus states will be a dark grey (#999999).